My kids of all age ranges love to listen to these very entertaining talks! Even down to the 8 year old will quote from them. 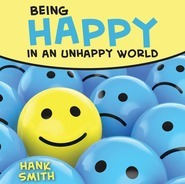 Hank Smith invites the spirit as he uplifts and inspires. He will make you laugh and cry, but mostly laugh. Our whole family loves him!! My family was introduced to Hank Smith cds a few years ago and we are all happy we were! I bought this 10 cd pack for the car. My teenagers and young kids always want to listen to Hank Smith in the car. I appreciate that the whole family is entertained by his cds. Even my husband, who rarely cracks a smile at this type of stuff, gets caught laughing and nodding his head in agreement while we're listening. I highly recommend these cds. We all feel spiritually uplifted and ready to face the challenges of the world after listening to these talks. We love ALL of Bank's CD's and books. When of my inactive young women listed to a CD on our way to youth conference and asked for more when it was done. My kids listen to his CD's over and over. He is very inspiring and the messages stick with them. The youth love to listen to him. We thank him for his time, research, and dedication to sharing the gospel in such a fun and clear way. Thanks! My whole family loves listening to thes!. It is great to play something in the van that is more than just funny and insightful. It carries a spirit of happiness that is infectious and causes us to be reflective. My kids love it, my husband and I enjoy it, and my young women think it is a lot of fun. Two thumbs way up! That one is personally one of my favorites! He relates things so well to our youth and even us adults to our every day life!! So grateful for these talks to help me get back on track and remember what's important!! Oh how we live Hank Smith! I have an 18yr old all the way down to a 5 yr old and we all love to listen to his cds!! They are funny, uplifting, and inspiring!! We take them all on our family trips and enjoy listening! We've even heard them over and over again and we love them almost like the first time you heard them! ! I loved this cd! I'm sure all of his talks are phenomenal, but this one helped me to decide to "walk" in my Savior's footsteps more. I was prompted as I listened to give up a couple of tv shows that I enjoy watching, so that I could have the Holy Ghost in my life. As Hank Smith would say, I would rather have the Holy Ghost with me than have a bunch of friends. I got this for my birthday last year and it is awesome. So helpful. Thank you so much Hank Smith! You are my daughter's favorite speaker. She goes to seminary 20 minutes away and listens to your talks on CD on her way to seminary and then after on her way to school. Thanks so much! We all love them. 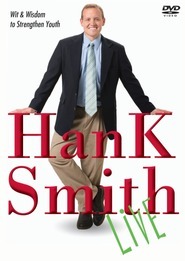 I learned of Hank Smith at a time when my teen was struggling. I bought this 10 CD set and started playing them in the car. Now our whole family of 9 people listens to Hank Smith regularly, and we love him! He can have you laughing, crying, and feeling the Spirit all in one talk. I recommend him to everyone I talk to. I've always loved listening to Hank Smith! He really knows how to bring it down to a level that I understand and I love it so much! My first TOFW trip was the last year he spoke and I was so grateful that I was able to listen to him. And now that I've been working at Elementary Schools I've been blessed to be able to listen to him TWICE! He is amazing! Too much time, not enough Hank Smith! A friend loaned us this cd set last summer to help occupy our kids on a road trip. Needless to say, we have since bought not only this collection, but all the other cds available. The kids love it! I love it! Can't get enough of Hank! My kids love to listen to all of these talks, and so do we! My 11 year old son will ask to listen to them almost every time we are in the car. Hank uses great stories and humor to help you learn and feel the spirit. 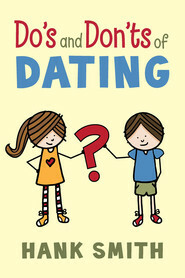 I got this for Christmas and it has such good information and advice on it! We got this set for our family last year and it seems like every time I turn around one of the kids is listening to one of the CD's. We all love to laugh with Hank as he tells his stories that uplift and inspire us all! Thanks for the laughs and inspiration. Instead of listening to music in my car, I wanted to listen to something that would uplift me, but not put me to sleep. This was perfect. My only regret, is that I didn't have these when I was a teenager. But, I'm 22 and I love everything I am learning. I love these talks and when people get in my car I make them listen too, and they end up loving them also! Hank Smith definitely has a gift of giving a special perspective to the gospel. Anybody who wants to be happier, should buy this! When my kids listen and take what Hank Smith says and tell me about it! There is nothing better for a parent! My kids are 5,7,9 and tells us all the time to wake up from your phone! Thanks for all you do. I would recommend these to everyone. I have really enjoyed these talks, a lot of them are aimed for teens but there are some lesson that he talks about that can apply to anyone lives. This has defiantly help me build my testimony on the Savior and His love for me. After listening to the collection of John Bytheway a friend let us borrow, I was searching for some new uplifting talks on cd for the family to continue to listen to on Sundays. I bought this and we have NOT regretted it! All the children, from the oldest at 14 to the youngest at 8, all seven of them are captivated by these talks and actually remember stuff! Yes it may be as simple as "Hey don't crush my chips" or "That tree looks like a nice salad" but it still tells me they are receiving the messages that are meant for them. I highly encourage this collection as a wonderful positive and useful purchase.